Today was my first day with a new group of three-year olds, and I was eager to see what this year's class would be like. I decided to stick with a basic theme that I knew always worked well, but was not likely to get them overly excited, like "Dinosaurs" or "Jungle Animals" might. So I chose "Colors", knowing it's a basic concept that 3-year olds should know fairly well, but possibly not completely mastered yet, and that I had books and activities that always worked well. I started by introducing myself and explaining that I was from the library and would come every two weeks to have storytime, and that we would read stories, sing songs, and other fun activities, then I went around and said all their names (the teacher had thoughtfully put nametags on them). We started with our welcome song, and I introduced our "color" theme with an activity I've used before, a color "magic" trick. I had a small gift bag with a rainbow already inside it, and several pictures of different colored items (mine happened to be mostly food). Then I held up each one, let them identify the item and color, then placed them in the bag (I went in proper ROY G BiV order). Then I closed the bag, shook it up, and had them all say "Abra cadabra!" and pulled out the rainbow. 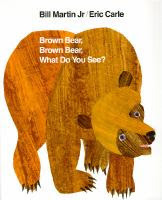 Next we sang our "story song" to lead into our first book, the classic Brown Bear, Brown Bear, What Do You See? by Bill Martin, Jr. and Eric Carle. I like to use classics that children are likely to be familiar with at the beginning of a new school year for two reasons: (1) they are often apprehensive about being in a new situation and a familiar story can be comforting, and (2) they are often more engaged in a familiar story, especially one like this that is repetitious and has a nice rhythm that encourages them to join in and say the words along with you. 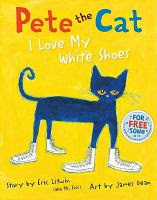 I followed this with the song "If You're Wearing..."
For our second book I chose another sure hit, Pete the Cat: I Love My White Shoes by James Dean and Eric Litwin. Pete is a very popular character, and this book in particular is very engaging with the repetition and catchy song, and gives the audience a chance to predict what color Pete's shoes will turn each time he steps in something, as well as identify what he steps in. To hear the story and song as told/sung by the author, go to the Pete the Cat website. This is a definite must-have, go-to storytime book. After Pete the Cat I brought out a flannel board activity that is always a hit with the preschool crowd, "Little Mouse". 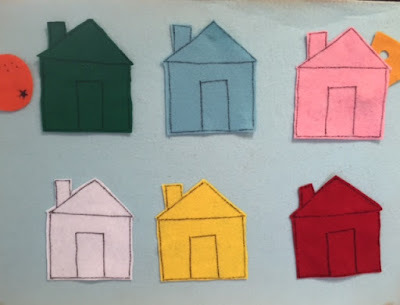 Hide the mouse behind one of the felt houses, then say the rhyme below, naming the color of one of the houses then looking behind that house. Little mouse, little mouse, are you hiding behind the ____ house? The set I inherited also had a felt orange, apple, cookie, and piece of cheese, so I hide those as well, placing the mouse behind the apple. Then as we check each house, I really ham it up, building suspense. First I peek behind, and say I see something, then finally reveal what is underneath. 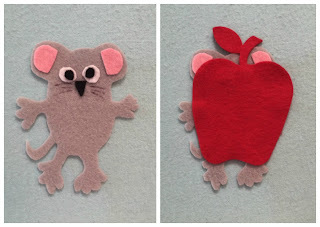 When we get to the one with the mouse and the apple, I play dumb like I just see the apple, and let the kids point out that the mouse is there. 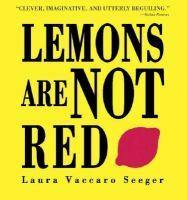 For our last book I chose Lemons Are Not Red by Lara Vaccaro Seeger. I like this book because it is short and simple, but requires more thought that simply identifying colors. Each item/animal is first shown in a nonsense color, such as a red lemon, the audience must name the correct color (though they will often catch on that the background color gives them the answer). When you turn the page the item is revealed in it's correct color, and the first color is shown on an appropriate item, such as a red apple. We ended with our closing song and I passed out stickers. It went extraordinarily well, especially for the first time with a new group of kids. When I first arrived I asked the teacher what kind of crew they had this time, and she said this group was much quieter than last year's (very chatty & wiggly) class, but they were very young. I took a quick look around the room and saw that they all looked like they had probably just barely turned three. 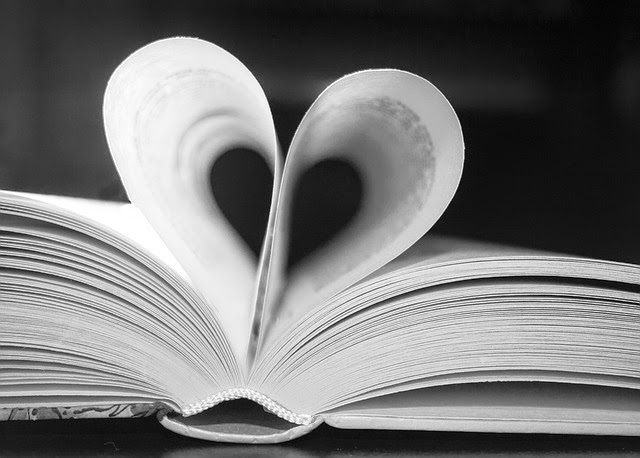 When I first start with a new group I usually just plan on a 20-minute storytime with two short books, and gradually work up to a 30-minute storytime and three longer books. Last year's class took a few months to get to the point I could consistently do three books. But the kids today were such good listeners, engaged and well behaved, that I was able to do a full 30-minutes and three books right off the bat! I was very pleasantly surprised. Most of them knew Brown Bear, Brown Bear and joined in right away, and quickly caught on to Pete the Cat so that by the end most of them were singing along with me. They really liked my little "magic" trick and wanted me to do it again, and LOVED the "Little Mouse" flannel board and asked to do it again as well, and some even wanted to do it a third time. They had a little more trouble with the "If You're Wearing" song, and some wanted to stand up for every color whether they were wearing it or not, but they still seemed to have fun. I was amazed when it came time to pass out stickers that there was no pushing, cutting or arguing. I'm really curious to see if they keep up the model behavior, or if they were just more subdued because it was the beginning of the school year.